Strength Rituals: The new show about the modern physical culture. "Strength Rituals is the bridge between real fitness and the accepted standards of commercial exercise. With 20 year's in the fitness industry, I’ve found that people are not scared or lazy, they just haven’t been exposed to something better. Strength Rituals intends to produce video to document the history of fitness and educate on bringing intensity and play to everyone." Check the video, and consider helping out. Everyone knows the health benefits of exercise, but there is so much more. A few new studies have been released to add to my anti-sitting campaign. Really- Try to minimize sitting, and at least get up briefly as often as possible. "The researchers then cross-referenced sitting time with health outcomes, and found that those people with the “highest sedentary behavior,” meaning those who sat the most, had a 112 percent increase in their relative risk of developing diabetes; a 147 percent increase in their risk for cardiovascular disease; and a 49 percent greater risk of dying prematurely — even if they regularly exercised." "Prolonged sitting time (as a specific instance of sedentary behavior), independent of physical activity, has emerged as a risk factor for various negative health outcomes. Study results have demonstrated associations of prolonged sitting time with premature mortality; chronic diseases such as cardiovascular disease, diabetes, and cancer; metabolic syndrome; and obesity. In contrast, breaks in prolonged sitting time have been correlated with beneficial metabolic profiles among adults, suggesting that frequent breaks in sedentary activity may explain lower health risk related to waist circumference, body mass index (BMI), triglyceride levels, and 2-hour plasma glucose levels. Reductions in sitting time correlated significantly with improved outcomes for upper back and neck pain as well as various mood states." 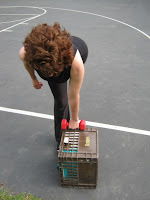 At the beginning of a workout it is common to do some preparation before the more challenging exercises. Typically this involves two things- slow stretching and some cardio. 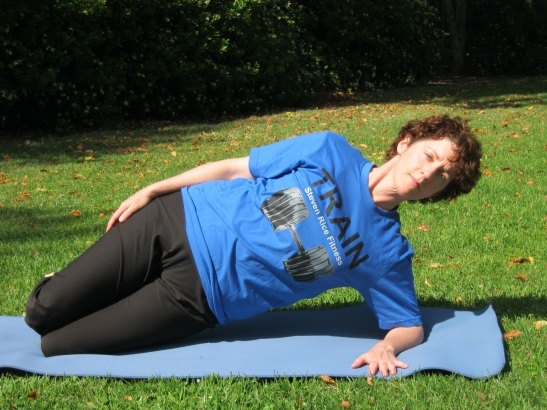 A more effective method is to perform mobility drills with slowly increasing intensity. 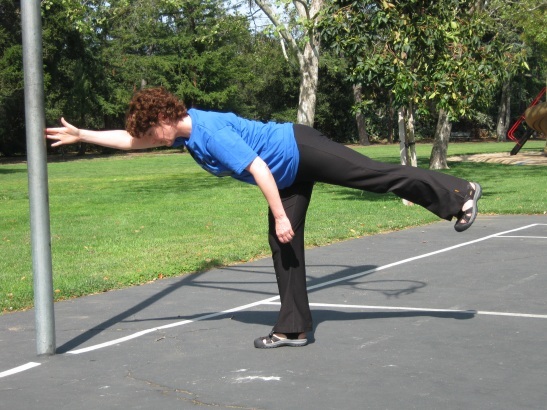 Mobility is the ability to control the movement of the body through its full ranges of motion. 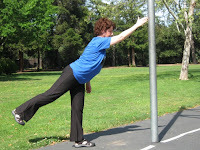 Flexibility, balance, coordination, and some strength are all required, and dynamic stretching is included. Mobility drills do not attempt to increase range of motion at a joint, but do prepare a joint to safely move within the range already possible. 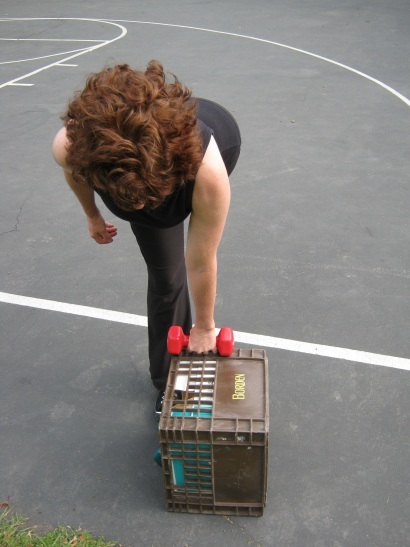 Mobility is fundamentally a dynamic process- it is being able to deliberately move your body. Improving mobility means improving the interplay of muscle contractions and elongations to allow strong, graceful, and safe movement. The complex, multi-joint exercises that are the focus of modern exercise require this. As with other warm-ups, as the tempo of the drills increases, the body is warmed and blood flow increased. 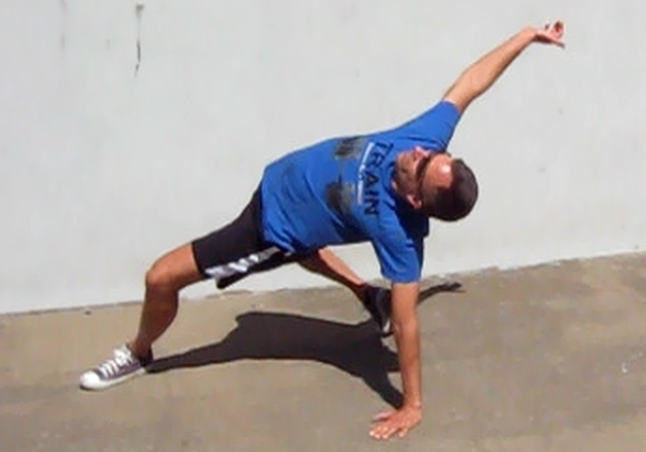 The videos show three phases of a mobility warm-up. The entire sequence is intended as a continuous flow taking about ten minutes. If a stage is easy, go through it quickly. If a movement is challenging spend time trying to improve instead of struggling. Work to do each movement well, do not practice doing anything poorly. 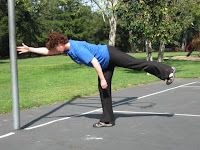 Movements where balancing is difficult can be practiced while lightly touching a wall or sturdy object. 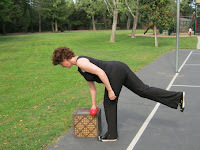 There are many other possible mobility exercises, these are some I have found that work well together. Done for higher reps, some of these drills will make excellent cardio intervals. For some people they will also be good for building strength and can be performed more deliberately for that purpose. Many can be done holding a moderate weight such as a medicine ball, or something heavier such as a dumbbell, kettlebell, or sandbag. Three areas where most people have postural tightness are emphasized: hip opening, chest opening, and upper spine extension(bending backward). The advantage of mobilization over passive stretching for posture improvement is the neurological integration of releasing the tight area with the contraction of the opposite area while the body is moving. After the mobility warm-up is finished, foam rolling on problem areas can be done. As you transition to the rest of your workout, some specific preparations may be needed before each exercise, including light weight practice sets. I have to ask for some tolerance for my video recording and performance skills. The material is good even if the production isn't. There are three stages, shown in two videos shot in two locations. Start on hands and knees, aka quadruped. This is the closest to traditional stretching, but keep things moving. Next, work on improving mobility while standing and walking. Do ten to fifteen big steps of each drill. Here I take only a few steps in one direction just to stay in the camera frame. 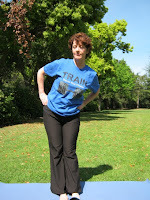 Here are some more advanced movements done while lunging, squatting, and crawling. The video shows differing numbers of reps in each direction or of each movement. In practice each part of the drill would be done for anywhere from four to eight times, unless accelerating from an easy variation to a hard one. I'm not doing these perfectly. There is one point where I unintentionally switch which arm I raise(0:46). I also don't do a smooth progression of the final drill, and do one of the moves only once. -Step forward with the left leg, kick through with the right. -Step back, then repeat on the other side. Repeat. -Next instead of stepping one foot back and then other forward, simultaneously switch feet. (the video does this from the beginning). Repeat. 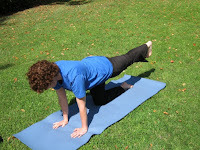 -Increase the stability challenge by kicking the moving foot back and forward again without touching the ground(1:45). Repeat twice. 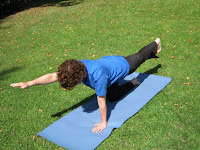 -Add a frontal stretch and posterior push by planting the foot and going into a bridge(2:06). Repeat the entire sequence four times. The kick throughs work really well combined with a bear crawl. I like to have clients bear crawl sideways a few steps, kick through on one side, then crawl the other direction and kick through with the other foot. Do these drills at the start of your workout, and you'll be ready to be awesome for the really hard exercises. 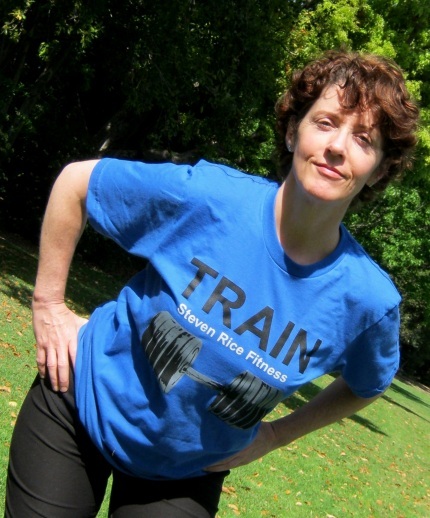 A few recent outside articles on topics of interest at Steven Rice Fitness. Sitting is bad, exercise is good for the brain, exercise is good for everything else, coffee is good, sunlight and vitamin D are good as well. Also note new T-Shirts are here! "A study of more than 200,000 Australians adds to the growing body of evidence that people who sit the most die the soonest. It also found that you can't exercise this effect away, though exercise does help reduce it greatly." "For more than a decade, neuroscientists and physiologists have been gathering evidence of the beneficial relationship between exercise and brainpower. But the newest findings make it clear that this isn’t just a relationship; it is the relationship. Using sophisticated technologies to examine the workings of individual neurons — and the makeup of brain matter itself — scientists in just the past few months have discovered that exercise appears to build a brain that resists physical shrinkage and enhance cognitive flexibility. Exercise, the latest neuroscience suggests, does more to bolster thinking than thinking does." "Lose fat fast with a training program that will help you maintain body composition results for the long run. You will lose the most fat by training with a protocol that focuses on building muscle, burning fat and calories, and achieving the greatest hormone response from exercise." "The combined effects of exercise plus caffeine consumption may be able to ward off skin cancer and also prevent inflammation related to other obesity-linked cancers." "ONE sure giveaway of quack medicine is the claim that a product can treat any ailment. There are, sadly, no panaceas. But some things come close, and exercise is one of them." "Research over the past couple of years has found that massage therapy has benefits beyond just the feelings of relaxation and wellness that people may recognize after a massage." "Though there are still no large trials to prove or disprove the full worth of vitamin D, studies have linked low levels of it to risks of heart disease, high blood pressure, cancer and rheumatoid arthritis." Low back pain(LBP) is major health care problem- 80% of the population will suffer from it at some point, it is the second most common symptomatic reason for doctor visits, it is a major cause of work absence. Treatment though is often ineffective, and the recurrence rate is high. Both the incidence and cost of LBP are increasing. Here is an approach to treatment based on my professional and personal experience. First a disclaimer: I am not a medical authority, and this article should not be construed as medical advice. This general information may not be applicable in an individual case. I am a personal trainer and massage therapist, not a physician. The traditional way of thinking about pain is that the body gets injured, and the injured spot sends a signal to the brain which we call "pain." (That misleading red "X" in television commercials.) This is certainly often true, however a more nuanced explanation of pain is developing in medicine. The important point for this discussion is this: Pain is a mental phenomenon which may not be caused by physical damage or pathology. That doesn't mean the pain isn't real or unimportant, but that treatment needs to address this aspect. "Pain can be "learned" in the nervous system so that it is maintained independent of injury, pathology, expectations, or dysfunction. Such pain is called neuropathic and is an important under-recognized dimension of the chronic problem. Chronic LBP seems particularly likely to be neuropathic. Given this, the treatment, after any acute phase of injury and ruling out of other pathology, should be pain management. Rather than "curing" a presumed source of pain, which may no longer exist, functional improvement and reduction in sensitivity may be more realistic. A common perception is suddenly "throwing your back out" but the sudden pain may very likely be from accumulated stress and dysfunction, and the particular moment of injury represents both new trauma and a trigger of a pre-existing condition. Passive forms of treatment such as medication, massage, and some physical therapy treatments may offer short-term symptom relief and enable resuming simple activities. However, long-term they can create dependency without addressing the cause of LBP susceptibility. About 6 years ago, I had a severe period of low back pain brought on by lifting a large person doing Thai massage. For weeks the pain was excruciating. The best example is that it would take me several minutes to get in and out of my car because bending hurt so much. Pain persisted for months, and I learned a lot of sympathy for my clients. I'm still very aware of the area where the pain was felt, and apprehensive of its return. I have learned though that this does not need to stop me from very vigorous activity. My condition has steadily improved, with minor flare-ups, despite doing far more strenuous exercise than when the condition began. "When patients are in pain, they typically worry that they will cause more harm than good if they are active. Physicians typically prescribe overly restrictive activity restrictions, which are responsible for interfering with the recovery process and promoting chronic pain behavior. 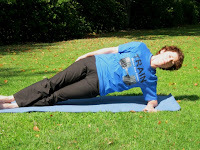 Update 5/1/12: My follow-up article Exercises for Low Back Pain is now available. While increasing strength and mobility have direct physical benefits for LBP rehabilitation and prevention, it is the psychological aspect of safely controlling the body I believe is critical to successful management of LBP. Back pain tends to create a sense of loss of control over the body; exercise is a way to "take charge" and, literally and figuratively, empower yourself. Rather than the too common fear of reinjury, confidence in one's body improves, which in itself can lessen the likelihood and severity of future pain episodes. The italicized quotes above are from this book. Also invaluable for understanding LBP are the works of Pr. Stuart McGilll. 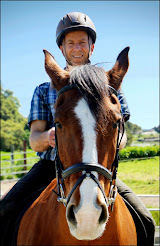 Professor McGill is one of the foremost researchers of low spine injury and treatment. Copied with permission from the excellent article Low Back Pain - A Contemporary Healthcare Crisis by Dr. Shawn Thistle, Nov. 2011, is this summary of Clinical Practice Guidelines (CPGs). The article is written for medical professionals, but is informative for anyone. Ten Clinical Practice Guidelines (CPGs) have been published in various countries around the world in the last 10 years or so. CPGs are developed to synthesize the best available evidence and make recommendations regarding the assessment and management of a clinical condition. There are some big brains involved in putting these together – high-level researchers, clinicians and experts – people we should listen to. There is a high level of consistency among these ten CPGs and their methodological quality is high as a collective. Experts suggest one of the major deficits in current management patterns for LBP is a lack of uptake of CPG recommendations. I agree, and this pattern must change! Diagnostic Triage: In general, LBP patients can be effectively divided into two broad categories – nonspecific (majority), and specific (small minority). Other guidelines further differentiate into nonspecific, radicular, or serious pathology. The main goal in assessing LBP patients is to rule out potentially harmful spinal pathology even though only about 1% of patients will have such a condition (the small minority mentioned above). Common red flags are discussed across CPGs and include age greater than 50, history of cancer, cauda equina symptoms, urinary retention, history of steroid use, unexplained weight loss, night pain, and so on. In these rare cases, advanced imaging and further clinical work up is clearly required. For the remaining 99%, a thorough history and appropriate physical examination should suffice and preclude the need for imaging or specialist involvement. A second goal is to rule out rare but specific causes of LBP other than serious spinal pathology. This refers to such conditions as Ankylosing Spondylitis, kidney pathology, etc. Substantial neurological involvement should also be evaluated. This can be done primarily via thorough history and physical examination. Routine imaging is not recommended unless patients fail to respond to conservative care. This is one recommendation rarely followed by many health care providers. Pain severity and functional limitations should also be addressed. No consensus exists among the CPGs regarding which questionnaires should be utilized for these aspects. Practitioners in all disciplines should also evaluate the risk of chronicity, as this small percentage of patients account for a disproportionate amount of health care spending. These are biopsychosocial factors such as anxiety, depression, work dissatisfaction etc. Chronic LBP: Provide advice to stay active, some form of exercise (no consensus), perhaps weak opioid medications or NSAIDs (preferably), spinal manipulation. No CPGs recommend bed rest, decompression surgery, back supports, biofeedback, heat/cold, traction or ultrasound. Recommended secondary interventions include cognitive behavioral therapy, multidisciplinary rehabilitation and adjunctive analgesics. LBP with substantial neurological involvement: Advise patients to stay active, reassure them and provide education about LBP; employ a short course of paracetamol/acetaminophen or NSAIDs +/- muscle relaxants; spinal manipulation; NO bed rest. Back exercises, acupuncture and massage may also help. No CPGs recommended back supports, traction, heat/cold or ultrasound. Recommended secondary interventions include multidisciplinary rehabilitation, behavioral therapy, stronger analgesics, steroid injections or decompression surgery in appropriate cases. No CPG has stated that it is necessary, or even beneficial, to identify a specific anatomical structure involved in LBP if serious pathology or neurological involvement has been adequately ruled out. It has also been consistently suggested that ordering needless diagnostic tests may INCREASE the chance of chronicity. Patients and practitioners should understand that in many cases of LBP, assessment is a more feasible objective than diagnosis, as a specific pain-generating structure can rarely be definitively identified. All CPGs clearly state that most cases of acute LBP improve substantially within a few weeks and recommend against early imaging and aggressive treatment regimens. Practitioners should ensure patients focus on function rather than pain, and all attempts should be made to maintain active working status. Overall, management of LBP should focus mostly on patient education, with short-term use of paracetamol/acetaminophen, NSAIDs, or SMT for symptomatic relief of acute LBP, with the judicious addition of opioid analgesics, back exercises, behavioural therapy, or acupuncture for additional symptomatic relief for chronic LBP. It is well documented that adherence to these recommendations leads to superior patient outcomes and lower costs. However, an equal amount of literature indicates primary care physicians, chiropractors, physiotherapists and medical specialists routinely fail to comply with these simple recommendations (8, 9). A combination of professional bias, inappropriate patient expectations, and perverse financial incentives may contribute to over-aggressive management. Most concerning is the overuse of advanced imaging, opioid prescribing and passive physical therapy modalities or manual techniques (10). Further, many physicians still recommend bed rest and feel return to work should not occur until full pain resolution is achieved (11), despite ample evidence that these approaches are harmful for LBP patients! Again, we as a healthcare collective must consciously act for the benefit of our patients. This cannot wait. Dagenais S, Trico AC, Haldeman S. Synthesis of recommendations for the assessment and management of low back pain from recent clinical practice guidelines. The Spine Journal 2010; 10: 514-529. Ivanova JI, Birnbaum HG, Schiller M, et al. Real-world practice patterns, health-care utilization, and costs in patients with low back pain: the long road to guideline-concordant care. Spine Journal 2011; 11: 622–32. Deyo RA. Commentary: Managing patients with low back pain: Putting money where our mouths are not. Spine Journal 2011; 11: 633-635. Carey TS, Freburger JK, Holmes GM, et al. A long way to go: practice patterns and evidence in chronic low back pain care. Spine 2009; 34: 718-24. Buchbinder R, Staples M, Jolley D. Doctors with a special interest in back pain have poorer knowledge about how to treat back pain. Spine 2009; 34: 1218-26. Koes BW, van Tulder M, Lin CC et al. An updated overview of clinical guidelines for the management of nonspecific back pain in primary care. European Spine Journal 2010; 19: 2075-2094.